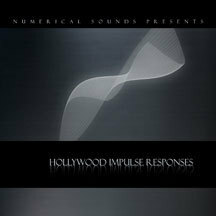 Hollywood Impulse Responses - Reverberation Impulses, Other CD & Sound Bank from Numerical Sound. 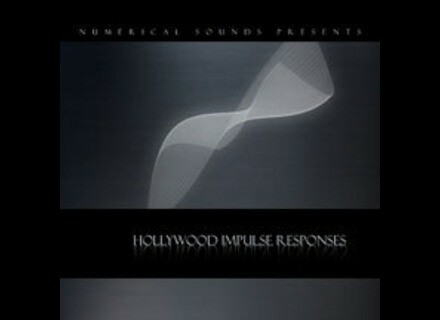 Numerical Sound, the company of sound architect Ernest Cholakis, has released Hollywood Impulse Responses - Reverberation Impulses. According to Numerical Sound, this is advanced true high definition reverberation (Mac & PC) for producers composers and musicians that, for the first time, is designed specifically for individual musical instruments and can even change the overall timbre of a track. The Hollywood Impulse Responses (HIR) were inspired by the ambience of 20 major Hollywood blockbuster films released between 1977-2006. This selection of films were recorded in several famous recording studio’s sound stages and symphony halls. "A new feature unique to HIR is the addition of 6 sets of RI’s that are high pass filtered at points of the frequency spectrum that match the range of acoustic instruments. These point are at the notes C2, G2, C3, G3, C4, and G4. This instrument designed approach offer much more sonic precision and clarity than any other currently available hardware or software reverberation. For example if you have a solo violin track the RI’s from the G3 set will exactly match the range of this instrument. C3 would work for the Viola and C2 for the Cello." "The second feature unquie to HIR is that the impulses were designed to change the percieved timbre of an individual instrument, ensemble or even the entire orchestra. The user can now adjust the tone of a track by selecting the appropriate Dark, Warm, Flat, Clear or Bright impulse when mixing the wet signal in with the dry. This dramatic effect cannot be matched by any kind of EQ". Each of the 20 RI's (24 bit 44.1K) has 5 variations. Six separate sets of these for a total of 600 reverberation impulses. "Signal to Noise greater than 130 db. "This collection of reverberation impulses were developed to add authentic film ambience (dramatic and “larger than life”) to a users orchestral sample library or any other acoustic material such as drums, voice, keyboard or guitar tracks". Convolution - a program such as Altiverb, Pristine Space, Space Designer, IR-1, Acoustic Mirror, Perfect Space, or SIR. Logic, Cakewalk, Samplitude, Seqoia, and Nuendo all have convolution integrated into their program so purchasing a plug-in is not required. 2 CD Rom's 1.1 Gig's in size. Vienna Symphonic Library: New Libraries Vienna Symphonic Library Announces Seven Extended Libraries. Digital Peak Meter Pro 3.0 Blue Cat Audio has released Blue Cat's Digital Peak Meter Pro 3.0, a redesigned version of its audio analysis tool. Behringer - XT Software Alliance Behringer has announced it has formed an alliance with XT Software to bundle their energyXT digital audio workstation with selected Behringer products.